Atlasobscura asks: ‘Who was the most prolific African-American filmmaker of the silent film era? That’s a question that undoubtedly has some asking, “were there any?” Absolutely. The Jim Crow era’s effect on filmmaking is rarely discussed outside of film history circles, leaving one of its most prominent figures, Oscar Micheaux, largely forgotten. Oscar Micheaux was a pioneer in almost every aspect of film. Born in Metropolis, Illinois, in 1883, Micheaux was the first generation of his family born free in America. The importance of property ownership and education was instilled in him during childhood. After a stint as a Pullman porter in Chicago, where he saved a great deal of money, Micheaux moved to South Dakota so he could own his own land and write. 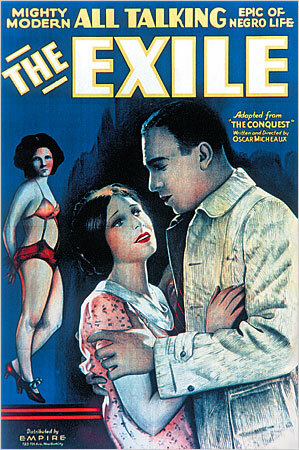 His first novel, The Conquest, was self-published in 1913. The self-taught writer left his South Dakota farm and moved to Chicago, where he started the Micheaux Film and Book Company. 2016 Olympics: Tokyo Or Rio?